As I sit in bed, a little under the weather (no, surely not before Christmas... come on! ), not being able to eat anything since yesterday. I am reminded of the delicious muffins I made the other day. Just looking at these pictures makes me want to eat the whole lot. Sadly, someone... or some people... have already done that! 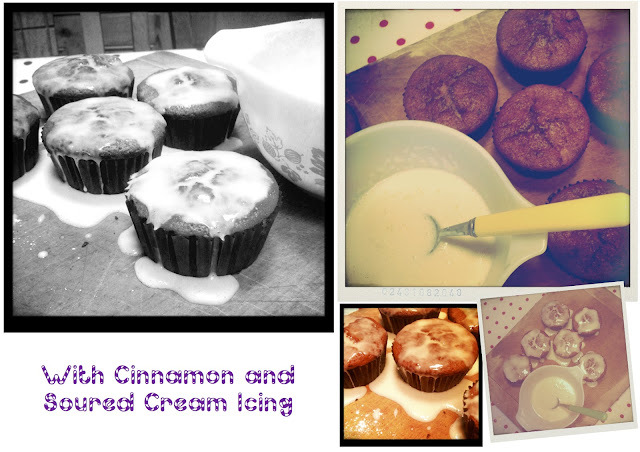 If you too fancy a wintery muffin to go with your hot cup of Earl Grey tea, or steaming Caffe' Latte, then you can. 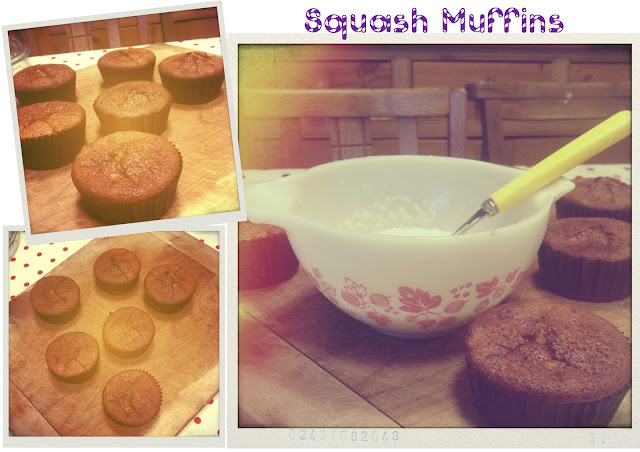 Here is the recipe I took these muffins from (thank you Jamie Oliver at Home) and added a few bits myself. Whiz the squash in a food processor until finely chopped. Add the sugar, and crack in the eggs. Add a pinch of salt, the flour, baking powder, walnuts, cinnamon and olive oil and whiz together until well beaten. Try not to overdo it with the mixing – you want to just combine everything and no more. Fill the paper cases with the cake mixture. Bake in the preheated oven for 20 to 25 minutes. Check to see whether they are cooked properly by sticking a toothpick into one of the cakes – if it comes out clean, they’re done. If it’s a bit sticky, pop them back into the oven for a little longer. Remove from the oven and leave the cakes to cool on a wire rack. Be careful with the Icing. As in: too much lemon makes it really liquidy, and doesn't stick nicely to the top of the muffin. I know Jamie is the master of easy cooking, but this tip just helped me... a little.